PLEASE NOTE: This material is special run. There is a $50 minimum order per color combination. You may order different sizes and shapes but the total purchase for each color combination must be $50 or more. 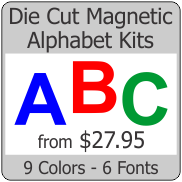 Check our stock Red - Green magnet if you cannot meet the minimum purchase of this product. Contact us for more info regarding this requirement. 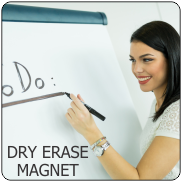 If you are looking for single sided colored magnet click here.